Thank you for coming to my tiny slice of the internet. If you are here, maybe you are interested in taking that once in a lifetime trip and you are getting some recommendations. Or perhaps you are an avid backpack traveler and you want to reminisce on traveling to some of the same places I have been. Or maybe you are a lurker who loves to read about other peoples’ experience because you think you could never afford to travel. I have done all of those quite honestly on other travel blogs and I welcome you no matter the reason you are here. My name is Sami, the girl behind the blog. 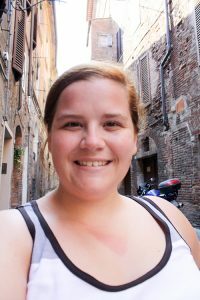 Unlike most travel bloggers, I am not a “quit your job and travel the world” kind of person. There is nothing wrong with those who do but my story is slightly different. 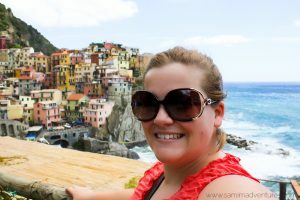 I am just a small town girl living my ordinary life in South Georgia who gets the chance to take extraordinary adventures domestically and internationally. Travel is a wonderful privilege. If you have the desire and determination, do it. My very first cross-country adventure happened when I was just one year old as my family moved from New Jersey all the way to my tiny hometown of Ashburn. Although I don’t remember that trip very well for obvious reasons, I remember the many trips back and forth to visit family that happened as I grew up. Passing by the millions of South of the Border billboards and trying to count them, seeing the large sombrero at the location between South and North Carolina, and staying up to go through the Baltimore Harbor Tunnel– that was just a pervasive part of my childhood that I never realized it made me unique. Getting a firm grounding in my own country gave me the wanderlust and the confidence to study abroad in 2011. That month living in Siena, Italy was one of the best of my life. It was such a special trip because it was my first flight and my first crack at independent traveling. But that is for another post. I traveled back to Europe in 2013 and took a page out of my moma’s book – rented a car for a portion of the trip and my friend Ari and I drove from Waldenbuch, Germany to Paris. Now, my next major adventure is in April 2017 and it will be another first – a solo adventure. But who knows where my life will lead me over the next couple of months. So take it from me, a girl from a town of less than 5000 – travel is so worth it whether it is to a city an hour away from where you live or to an exotic location far away. P.S. for even more about me, check out my “about” page. Where to stay in Dubrovnik, Croatia!